In a first for machine-learning algorithms, a new piece of software developed at Caltech can predict behavior of bacteria by reading the content of a gene. The breakthrough could have significant implications for our understanding of bacterial biochemistry and for the development of new medications. One thrust of modern pharmacology is focused on alleviating ailments by developing drugs that target specific proteins that reside in the membranes of our bodies’ cells. These proteins, known as integral membrane proteins (IMP), act as receptors or “gates” that allow materials into and out of cells. Examples of IMPs are G-protein-coupled receptors, which relay information to a cell about its environment, and ion channels, which control the interior environment of a cell by acting as gatekeepers that selectively allow ions to pass in and out of the cell. IMPs are the targets of nearly 50 percent of all drugs on the market. Unfortunately, many IMPs are poorly understood. “These are very important molecules our body makes that we just don’t know enough about,” says Bil Clemons, a professor of biochemistry at Caltech. In order to gain a more complete understanding of an IMP, researchers need to generate large amounts of it for purification and detailed study. Typically, that’s done by inserting the DNA for that protein into bacteria; the protein is then produced as a matter of course as the bacteria grows and multiplies. The problem is that not all bacteria are willing to cooperate and make only measly amounts of protein. 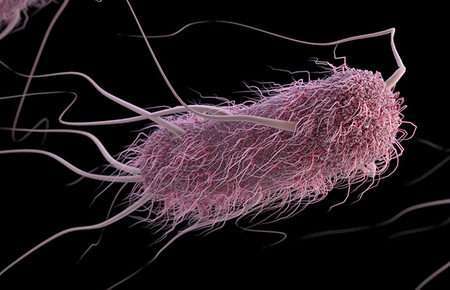 Only a few bacteria end up making enough of the proteins to be useful, and, until now, there has been no way for researchers to know if a bacterium they’re working with will be a hit or a dud. All the trial and error involved in getting bacteria to cooperate wastes researchers’ time and resources. Clemons wondered if it would be possible to use computers to predict how bacteria will react when asked to create a protein they normally don’t produce. Clemons and his graduate student, Shyam Saladi, created that tool—a machine-learning software they’ve dubbed IMProve—that compares bacterial DNA with data about how much protein the bacteria produces. They then used a dataset for IMProve that cultured many samples of bacteria to see how well they produced the desired membrane proteins. The researchers trained IMProve by feeding those results and the genetic codes the bacteria rely on for expressing the proteins into IMProve so it could learn which DNA sequences were going to result in high protein production. Once the software was trained, the researchers found that it predicted bacterial behavior so well they were able to double their rate of successfully picking bacteria that would express IMPs in large quantities. But, Clemons adds that, maybe their results aren’t so surprising in hindsight. “This underlines the idea that cells are just computers, and they’re just computing things,” he says. The paper, titled “A statistical model for improved membrane protein expression using sequence-derived features,” appears in the March 30 issue of the Journal of Biological Chemistry. Saladi, S. et al. A statistical model for improved membrane protein expression using sequence-derived features. Journal of Biological Chemistry (30 March 2018).